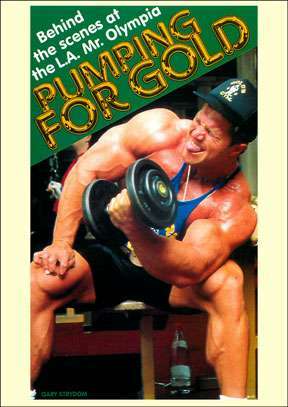 This classic DVD stars 8 times Mr. Olympia title holder LEE HANEY and his challengers Mike Christian, Rich Gaspari, Gary Strydom, Samir Bannout, Bob Paris, Tom Platz, Al Beckles plus Vic Richards, Paul Jean Guillaume, Carla Temple and Cameo Kneur. Plus a brief coverage of many other famous names in the sport. This classic video now on DVD stars 8 times Mr. Olympia title holder LEE HANEY and his challengers Mike Christian, Rich Gaspari, Gary Strydom, Samir Bannout, Bob Paris, Tom Platz, Al Beckles plus Vic Richards, Paul Jean Guillaume, Carla Temple and Cameo Kneur. Plus a brief coverage of many other famous names in the sport. The video takes you to special places and to meet fascinating and famous people. Visit places not normally seen by the average fans of the sport. An absolute trip down memory lane from the late ’80s. This type of video doco is no longer made these days in the buildup to the Olympia due to the extremely high cost of such a production. We treasure this very special release from the late ’80s. Originally produced by Video 4 and distributed by Quadrant Video and licensed to GMV Productions.